ATM Machine for small Business - Should I Install an ATM in my Business? The modern work culture values busyness. An over-packed schedule is a source of pride for many people, but there’s a big difference between activity and productivity. Many people, especially those with multiple responsibilities, like business owners and entrepreneurs, say that they struggle with time management and organization. In 2015, getting organized was the second most popular New Year’s resolution after losing weight. Juggling tasks, prioritizing projects, and handling the day-to-day operation of a business leave many managers scrambling to organize their time in order to complete everything. There are countless tricks to help manage time better, but one simple thing to keep in mind is the Pareto Principle or the 80/20 rule. Eighty percent of our results come from twenty percent of our actions and effort; this means that most of our outcomes, whether they be positive or negative, are a result of a small percentage of what we spend our time on. Apply the 80/20 rule to maximize your time by prioritizing the most important goals, delegating tasks, and leveraging resources to make things easier and more efficient. Installing an ATM at your business is one way to leverage technology to maximize time. An ATM can facilitate purchases, while simultaneously increasing store revenue. Customers needing cash can use the in-store machine instead of be leaving for another ATM. Having you own ATM will reduce the risk of losing a purchase when a customer leaves to access cash at another location. An ATM can even cut down on customer use of debit and credit cards. ATM service is especially helpful if most of the purchases made at your business are under fifty dollars. Around 30 percent of consumers prefer to use cash for most purchases; these consumers use cash 60 percent of the time when making purchases between 20 and 50 dollars. When customers make purchases under 20 dollars, debit and credit card users pay with cash around 50 percent of the time. Consumers’ cash preferences mean that an ATM could save a significant amount of time at your business. Once people withdraw cash, they typically spend it at the store and make higher-value purchases, spending up to 23 percent more money than non-ATM users. 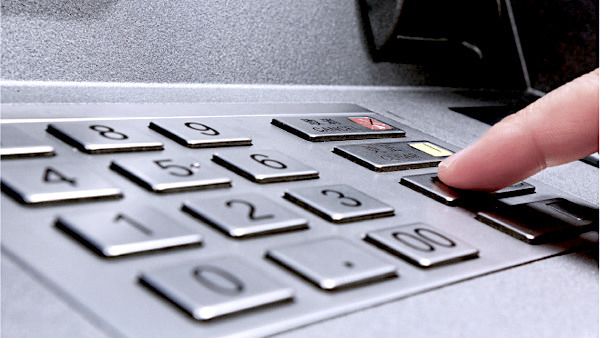 Contact America’s ATM to learn about ATM solutions available for your business. Call America’s ATM at 877-475-1104, or submit a contact form. America’s ATM brings ATMs, marketing products, and financial service kiosks to small businesses. With a management team experienced in retail, financial, and small business marketing, America’s ATM can help you decide on an ATM program that works for your business. See more about the different ATM programs, or become an ATM reseller with America’s ATM.